Use the community to network and set up meetings with other attendees of the India Distributed Energy Forum and Expo. A number of hotels with special rates are provided for delegates of the India Distributed Forum & Expo. It is recommended to plan your visit and accommodation as early as possible. Taj Palace, holds a prominent place in the city’s prestigious Palace. Close to the seat of the Government, Delhi’s business district, the commercial hub of Gurgaon and the Domestic & International airport, the hotel offers modern business facilities seamlessly infused with epitomizing elements of exquisite Indian art. The Taj Palace is the same location as where the Forum is being held. For convenience, we have arranged preferred rates for all attendees of the forum. To book your stay with India Distributed Energy Forum & Expo special rates, please click here. Iris Park is conveniently located within Safdarjung Enclave, a short walk from Bhikaji Cama Place and about 10 km (7 miles) from Connaught Place, the heart of the city. It offers comfortable, eco-friendly rooms with an LCD TV and Wi-Fi Connectivity. 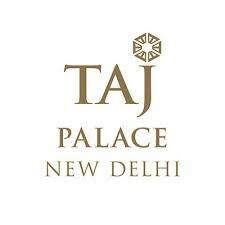 Approximate distance from Taj Palace by drive: 6.4 km / 30 - 45 min. Jukaso Inn Delhi is conveniently located at the center of the city, near government offices, shopping areas, financial and business districts. The hotel is a 40-minute drive from the airport. The rooms at Jukaso Inn Delhi are equipped with all amenities and come with following features: Mini fridge, flat television, temperature control, satellite channels, hairdryers, in-room tea and coffee maker, Wi-Fi internet access, complimentary newspaper and turn down services. All bathrooms are equipped with bath tubs and deluxe bathroom amenities. To book your stay with India Distributed Energy Forum & Expo special rates please click here .